I was last week on wednesday and thursday (9-10/12) at DISH 2009 (DIgital Strategies for Heritage) conference in Rotterdam. My own presentation Participatory management of heritage assets (presentation also attached to this article) discussed participation, strategies and critical success factors for engaging users and experts vs. amateurs dichotomy. I had a short presentation as a part of the at the panel New Modes of Information Behavior Emerging From the Social Web organised at this year’s ASIS&T Annual Meeting in Vancouver. Syväsukellus Kirjasto 2.0 -ilmiöön ja sen juurille. Kirjoittajina Åbo Akademin Kirjasto 2.0 -tutkimusryhmä. The third Learning and Research in Second Life workshop was organised on wednesday, October 7 at Internet Research 10.0 conference in Milwaukee by me, Kim Holmberg and Terry Beaubois. The day was very intense and we had a very productive continuous seven hour discussion that touched multiple aspects of education and research in the virtual world of Second Life. Kurssilla syvennytään Second Life –virtuaalimaailman käyttöön käytännön opetus- ja koulutustyössä. Second Life –ympäristö nähdään kurssilla välineenä ja pääpaino on tämän ympäristön tehokkaassa ja tarkoituksenmukaisessa hyödyntämisessä. Kurssilla painotetaan henkilökohtaisen tuen ja ohjauksen merkitystä sekä ryhmässä oppimista ja ryhmältä oppimista. Library 2.0 has been a phenomenon that has been under discussion for almost four years. Perheps oddly, perhaps illustratively enough there has been many attempts to present definitions of the term. Most of the definitions so far have been, however, individuals' personal views of that what the 2.0 of library is all about. An article weitten by me together with my colleagues describing a definition based on empirical study of library and information professionals has been published in the Journal of Documentation (Vol 65, Number 4, pp. 668-681). Read more about What is Library 2.0? Information studies at Åbo Akademi University is seeking a PROJECT RESEARCHER for a fixed-term position in a ESF (European Social Fund) funded project AVO - Open networks for learning (Avoimet verkostot oppimiseen). I have enjoyed an intensive week in Croatia participating this year's Libraries in the Digital Age (LIDA) conference in Dubrovnik and Zadar. Like last time two years ago when I attended the meeting, it was an excellent combination of interesting papers, surveys of some present issues in digital libraries, library and information issues. 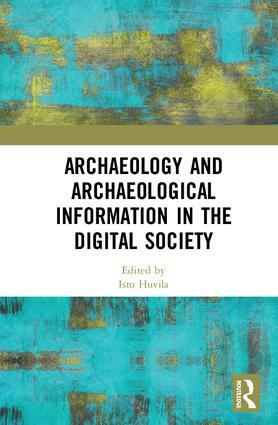 My contribution focused on semantic wiki based information repositories with a special reference to documentation of archaeological entities. 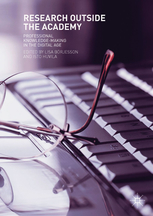 Read more about Digital age is social? Please join us in a workshop on Learning and Research in Second Life on October 7, 2009 in Milwaukee at Internet Research 10.0 (http://ir10.aoir.org/).